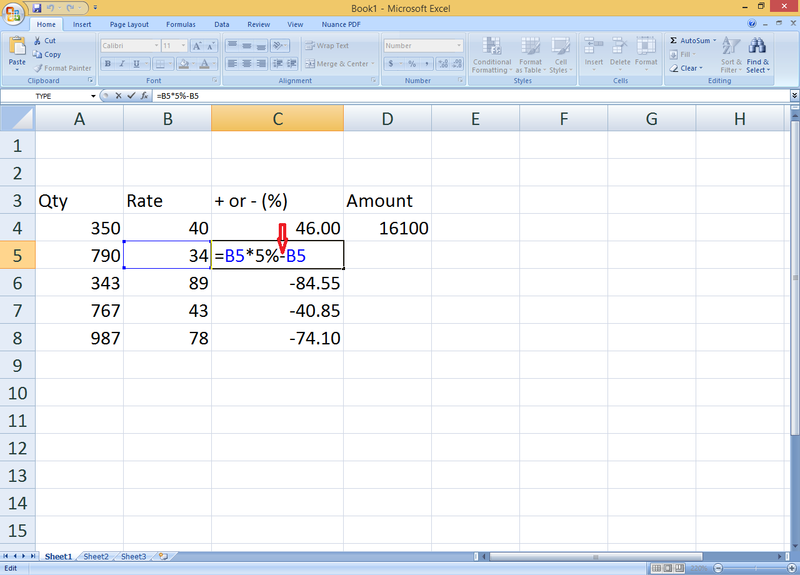 Hi, guys welcome back again, today we will discus how to calculate increase or decrease percentage in Same Column in Microsoft Excel. 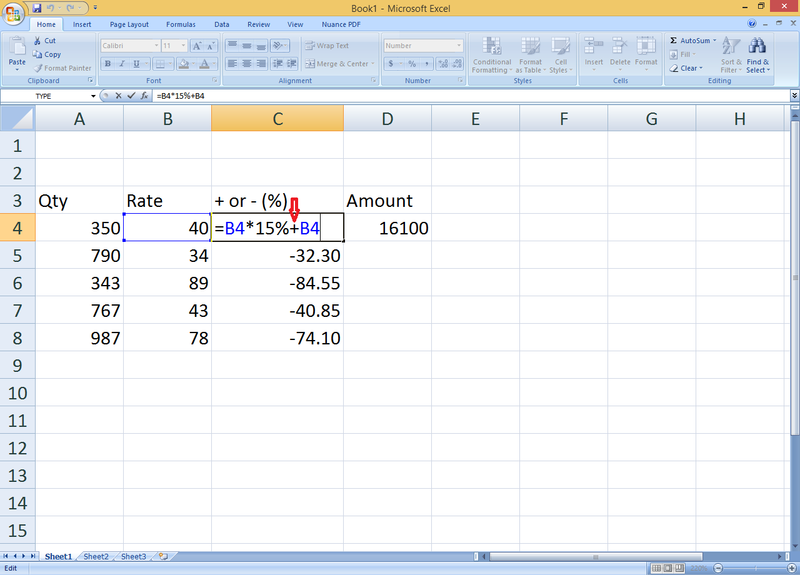 First we need to know what exactly we want, for example if you want to increase or decrease percentage of any value in the same particular column, just follow these steps. For example: I have 40 and I want to add 10% extra of this 40 into the next column, type “=” in the column “select column” type “*” type your perchance (%), press “+” again select the same column and press “Enter”… Ooh… it’s not that much difficult, the simple formula is “=B4*10%+B4”.